Robert C. Litwack was born and raised in Vineland, New Jersey. He graduated from Vineland High School in 1969 and received his Bachelor’s degree in English Literature from Rutgers University (Livingston College) in 1973 as a member of Livingston College’s first full graduating class. Mr. Litwack graduated from Rutgers School of Law (Camden) in 1979 as President of his graduating class and received various awards for excellence in Taxation, Fiduciary Administration, Contracts, Property and Future Interests. 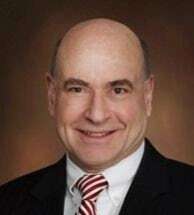 To expand his legal expertise, he received an advanced legal degree, an LLM (Taxation), from Temple University in 1983. Mr. Litwack opened his own law office in Vineland In 1984, first practicing as a solo and then with his wife, Carol Kernan, with his practice focused on the purchase and sale of businesses, taxation, estate planning and administration, business collections and foreclosures. They moved their practice to Bridgeton, NJ in 1993. In 2012, Mr. Litwack joined Gruccio, Pepper, De Santo & Ruth, PA where he is continuing his practice focus on the purchase and sale of real estate and businesses, banking, including collections and foreclosures, loan closings and loan workouts, and estate planning and administration and all aspects of business law. Mr. Litwack’s interests are varied, including physics, cosmology, linguistics, world history and science-fiction. He’s been an avid bicyclist and has completed numerous 100 mile “Century” rides.